0.50 Cts Diamond Five Stone Journey Pendant in 14K White Gold . 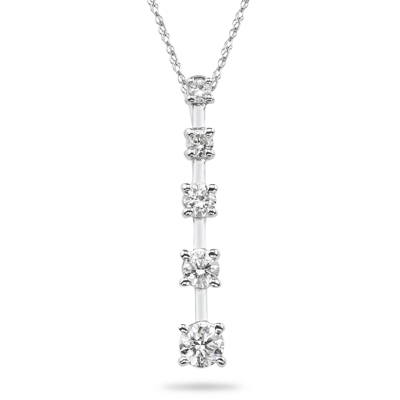 This elegant Journey Pendant displays five sparkling round diamonds held in 14K White Gold. Approximate Diamond Weight: 0.50 Carats. The pendant comes finished with an 18 inch 14K White Gold Singapore Chain.